Ranking and results from NanoCar Race in Toulouse, France. The design, synthesis, and running of a molecule nano-vehicle on a gold surface in a controlled manner at the atomic scale now constitute an active field of research. Dr. Christian Joachim at the CNRS MANA satellite in France announced to organize a molecule car race. Each team from France, Germany, Austria, United States and Japan will try this world smallest, most difficult and scientific car race. NanoCar Race will take place on April 28-29, 2017 at CNRS in Toulouse, France. Live public viewing event will take place at Miraikan in Tokyo on Saturday, April 29 from 15:30. Live streaming of the race will be broadcasted via NanoCar Race official YouTube channel as well. 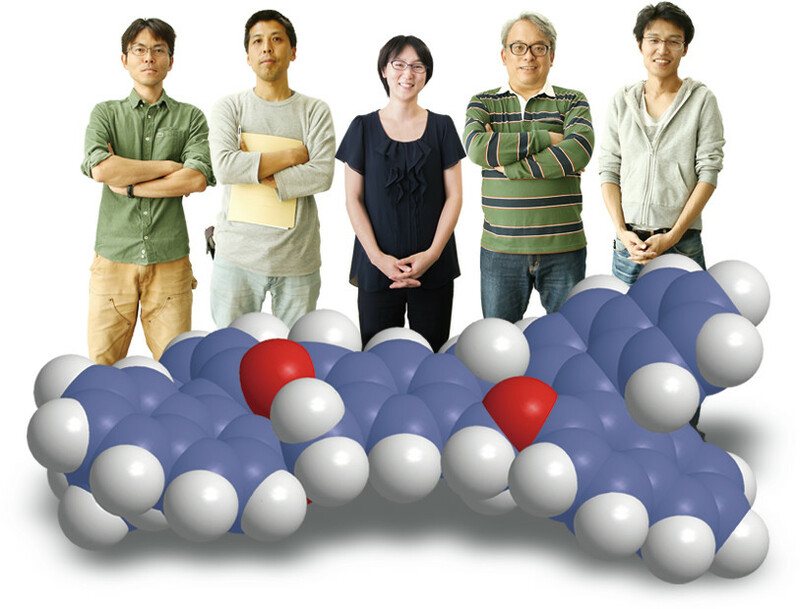 Five researchers from International Center for Materials Nanoarchitectonics (MANA), NIMS in Tsukuba, Japan accepted the challenge to participate in the Molecule Car Race and have designed their molecule vehicle as shown at right.